Ruth was born in 1895 in Barnby Dun, near Doncaster, the daughter of John and Jessie Storer. She was the eldest of four children, all born in Barnby Dun, where her father was a Police Constable. By 1911 John Storer had moved to Upper Denby, near Huddersfield, still as a Police Constable. 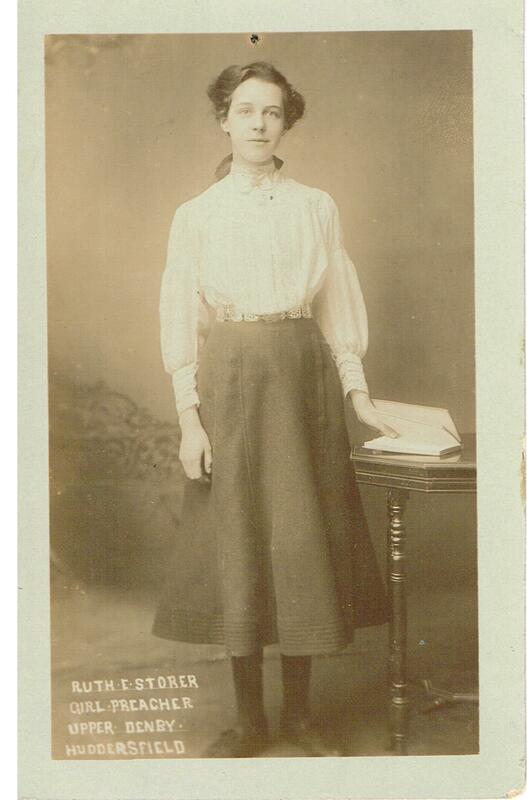 Ruth’s younger sister Violet Jessie (14) was living at home, and working as a power loom weaver in a cotton mill. Her brother John Redvers (10) was still at school. 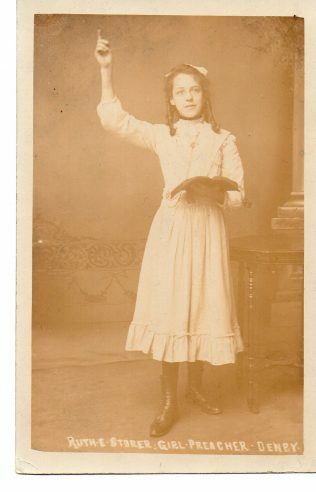 Ruth (15) was away from home at the time of the census. She was visiting a much wealthier family in Leeds, and was an ‘evangelist’. 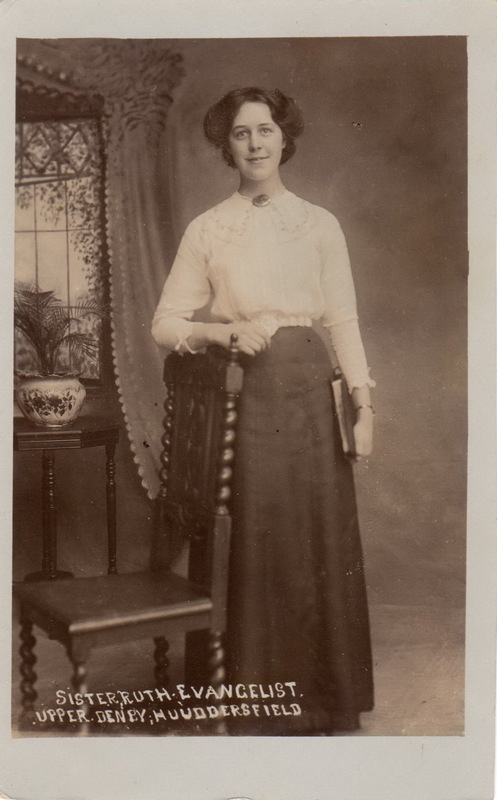 On 26 December 1918 she married Samuel Toon, at Mount Zion Primitive Methodist Chapel, Ossett Green, Yorkshire. She was 23, and gave her occupation as ‘Missioner’. She died in Lichfield, Staffordshire, in 1961. On the back of this postcard is written ‘A very well known Primitive Methodist speaker in my youth’. This page was modified on 12 September 2016 to add an older picture of Ruth supplied by Howard Earnshaw.